I first heard about Chanelle Henry three years ago via Kickstarter. Her successful campaign allowed her to attend SXSW for the first time, and she’s been blowing up ever since. Aside from being a user experience designer, Chanelle teaches courses through Skillshare, lends her graphic design expertise in videos with Howcast, and owns a boutique collaborative multimedia agency called CHD Collective. Find out more about Chanelle’s work and her thoughts on design in this week’s interview! 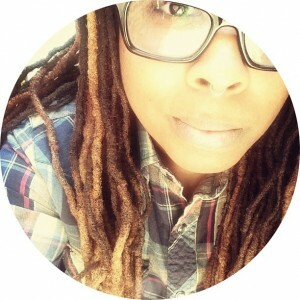 My name is Chanelle Henry and I am a user experience designer (this month). I am currently the director of user experience over at Bluewolf. My next title may be a product manager to really encompass all that I want to do. Walk us through a typical day with your work at Bluewolf. A typical day is not typical at all! Bluewolf is a great tech agency that does great work in customizing Salesforce for Fortune 50 companies. They wanted to develop a more robust UX team, so I was brought on as director to help figure out what this process would look like. I’m creating documentation and other support data to help current employees and future employees to understand the UX process as well as know how to scope from a project. When I’m not doing that, I’m talking to people on the team and solving UX issues in the form of wireframes, prototypes and visual design. How do you keep motivated and inspired? Name some of your influences. I stay motivated by constantly reading tutorials (tutsplus.com), looking at galleries (creattica.com and dribbble.com), solving some design problems (openideo.com), and following blogs. Some of my influences are David Airey — an AWESOME branding designer — and Lee Munroe, a UX designer with a great blog on UX design practices. I also make sure I go to SXSW every year to stay updated on trends and to get excited about the industry all over again. Speaking of SXSW, you raised money on Kickstarter to attend back in 2010. How was that experience, and have you been to many tech/design conferences since then? What have your experiences been like? The experience was life-changing. SXSW opened my eyes to experiences and people that I would have never met in my normal walk of life. I hadn’t been to any design conferences before that one (oh wait, just one, it was a tech conference in Atlanta), and after that I have been to MANY. My experience taught me the power of networking and sharing your story with someone else to know where you have been and where you could go. I have been beyond grateful for everyone that donated that year to help me realize that dreaming is only the first step. I realized that I had a talent and that I could do it on my own terms. I raised my rate, started my own company, and never looked back. Yes! I was always drawing, copying, tracing, and putting together “friends” (robots made out of boxes) as my hobby. I also got my first computer — a Macintosh Plus — when I was seven years old. I was always creating new programs as well as designing and using it as my outlet. Growing up, I wanted to be an artist until I was told that I could never make money. I laugh now because I definitely find that “fact” to be false. I think what saddens me is that a lot of people are taking a cookie-cutter approach and creating web designs without the client in mind. Web design is about problem solving, design in any way is about problem solving and not just about designing for design sake. I think sites like 99Designs helps people to get a taste of the dog-eat-dog world, but only when a user is able to hone in on their craft and the true purpose behind web design is when true magic can happen. My advice would be to always research the field to see what exactly it entails. Also, get about 10 people to follow within the field, and possibly ask a couple to mentor you. Join design groups like Dribbble or Forrst, and try to stay on top of trends. Attend classes on Skillshare that can help you advance in your career without breaking the bank. Attend informational interviews to get more information about jobs that you may want. If you are thinking about going the freelance route, join online groups and blogs like FreelanceSwitch to learn more about the industry and join hackathons. What’s the best advice you’ve been given regarding your craft? What was the last thing you designed that was just for fun? An exploratory concept for Planet Fitness. Wow, this is a hard one. I would probably do something opposite of what I’m doing now and start a mural tour where people will paint murals from city to city to spread the word of unity. People with smartphones would be able to paint with awesome technology and communicate to other walls with RFID and Bluetooth technology. It’ll be a project in which we connect people the way technology intended. About Chanelle: Chanelle Henry is the director of user experience for Bluewolf and the founder of CHD Collective. You can find her work online at Behance or Dribbble, or follow her on Twitter.